Hugh Howey is known for crafting riveting and immersive page-turners of boundless imagination, spawning millions of fans worldwide, first with his best-selling novel Wool, and then with other enthralling works such as Sand and Beacon 23. 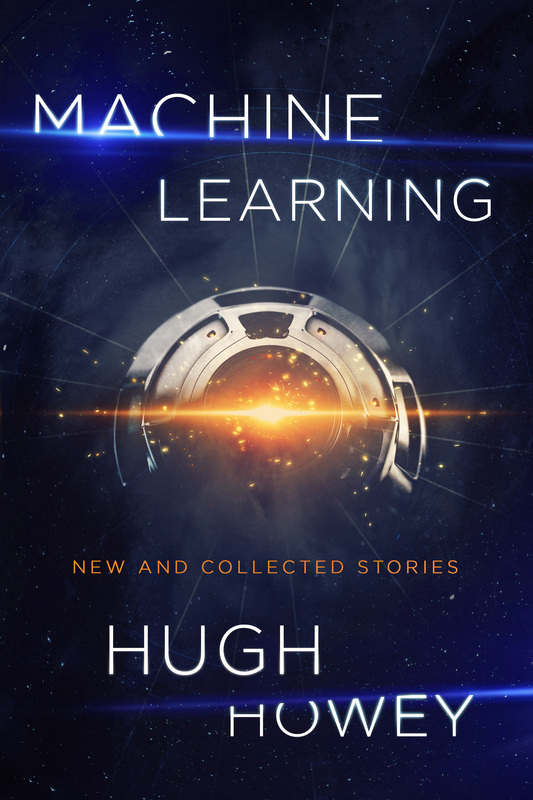 Now comes Machine Learning, an impressive collection of Howey’s science fiction and fantasy short fiction, including three stories set in the world of Wool, two never-before-published tales written exclusively for this volume, and fifteen additional stories collected here for the first time. These stories explore everything from artificial intelligence to parallel universes to video games, and each story is accompanied by an author’s note exploring the background and genesis of each story. Howey’s incisive mind makes Machine Learning: New and Collected Stories a compulsively readable and thought-provoking selection of short works—from a modern master at the top of his game. Hugh Howey is the New York Times and USA Today bestselling author of novels such as Wool, Shift, Dust, Beacon 23, and Sand, and others. His works have been optioned for film and TV, with a television series based on Sand is currently in development at Syfy. His latest book is Machine Learning, a collection of his short fiction. His works have been translated into more than forty languages and have sold more than three million copies worldwide. Hugh lives aboard Wayfinder, a fifty-foot catamaran, on which he plans to sail around the world. I devoured this book! The wildly imaginative tales in Machine Learning tackle everything from AI and aliens to video games and VR, and Howey infuses each one of them with the perfect mix of brains, bravado, and heart. Reading the stories in this collection is like discovering an entire lost season of The Twilight Zone in which every episode was written by either Rod Serling or Richard Matheson. They’re that good. [A] generous feast of stories [that] shows us a writer who, in some earlier era, would have been a mainstay at Astounding or Galaxy magazine, a craftsman with a marrow-deep understanding of the genre and a wellspring of important things to say. Bestseller Howey assembles 21 thoughtful science fiction and fantasy stories that explore real and virtual worlds through human, alien, and artificial senses. […] Howey’s writing is taut and immersive, and his characters’ perspectives will fascinate, no matter how inhuman they are. Like a knapsack of compact grenades, exploding insight, unexpected innovations, and sci-fi heat. Each one the core of something larger. Hugh’s stories keep me turning pages not just to find out what happens, but because of the deep common threads of humanity within. I don’t just want to know the ending, I care about every moment. This collection shows Howey’s true range and impact as a writer. […] His stories take a more modern approach in their consideration of classic themes, hitting all the harder as a result. Howey’s talent for writing fiction that is clever, funny and thought-provoking shines here. […] Machine Learning is an intriguing collection that inspires amusement as well as horror, always prompting the reader to reflect. All are deftly crafted […] These captivating short works will please Howey’s many fans as well as aficionados of thought-provoking SF.